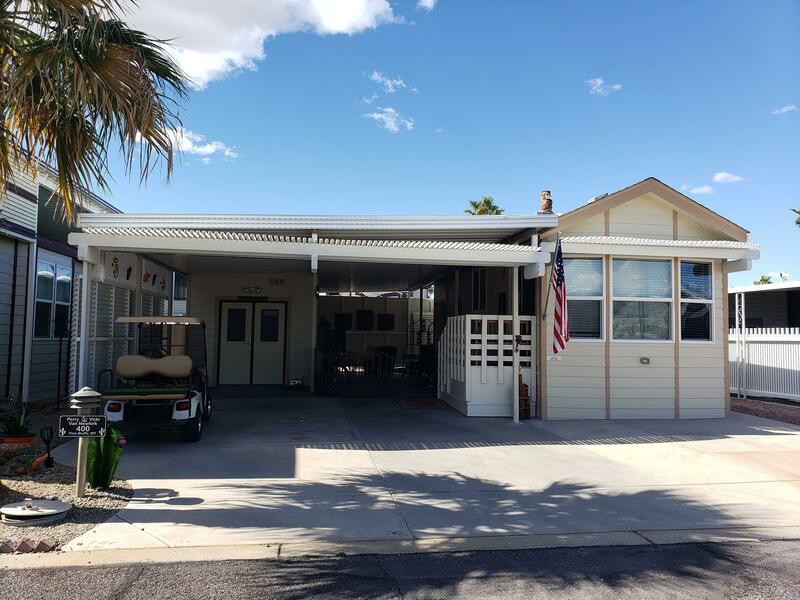 All HAPPY TRAILS RESORTS NO 3 homes currently listed for sale in Surprise as of 04/23/2019 are shown below. You can change the search criteria at any time by pressing the 'Change Search' button below. "Remodeled and updated Happy Trails Beauty on the Golf Course! Breath-taking views of the White Tank Mountains, Fountain, Sunsets & MORE! Over 790 Sq Ft 1 Bed/1 Bath. The Arizona room is currently used as a huge family room, perfect for entertaining while looking over the 17th fairway. The park model has a dining area, kitchen, bath and bedroom and... the bedroom is in front leaving the dining area with VIEWS! Lots of room for storage and relaxing in this home. 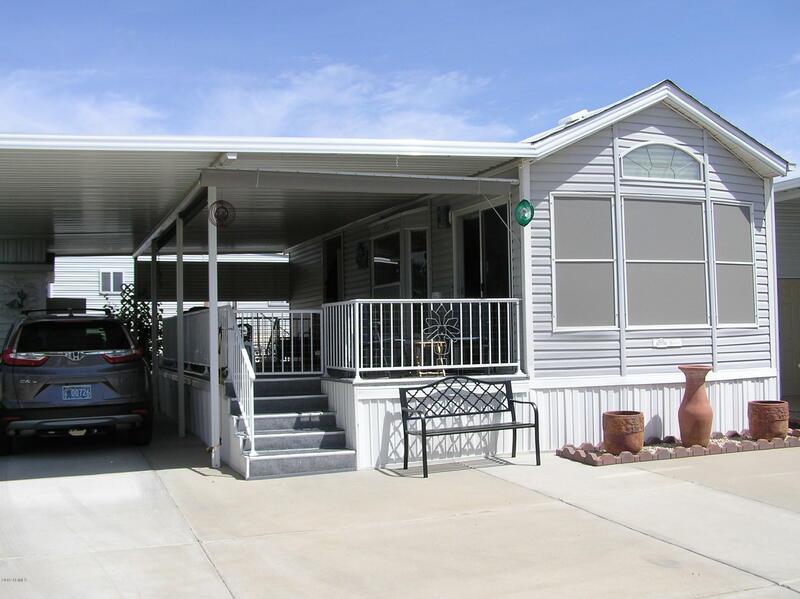 The new rear deck is covered, step"
"This is a great 1 bedroom/1.5 bath home located on Pinto. You walk into an open family room with adjacent dining area. There is a built in china cabinet and the galley style kitchen has beautiful cabinets, plenty of upgrades counter space, built in microwave and a dishwasher!!. Outside is a large covered outdoor living room with built in TV, finished storage area complete with additional bathroom, laundry area and work bench. Behind the shed is a private area for dining or morning coffee. 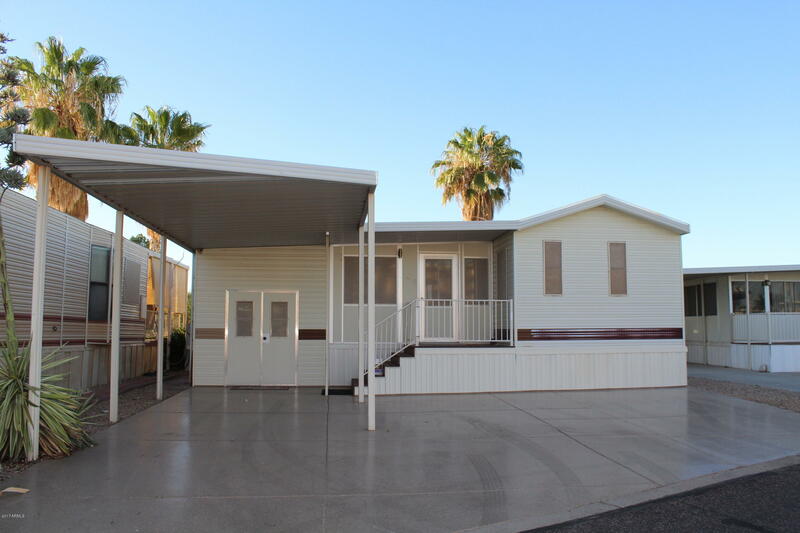 This"
"Here is a beautiful furnished 2000 Park Model with a very large deck and a single story shed. The appliances have been updated, range replaced Nov 2018, as well as the flooring with laminate and tile through out. A new flooring in the shed has been updated and contains a washer and dryer. The HVAC w/heat pump was replaced Nov 2017. It currently has a service plan that is transferable. There is lots of parking. Don't miss this opportunity."